A review of the book Sport & Meditation by Tejvan Pettinger, a cyclist and the UK National hill climb champion, published on 3 July 2016 on www.cyclinguphill.com. 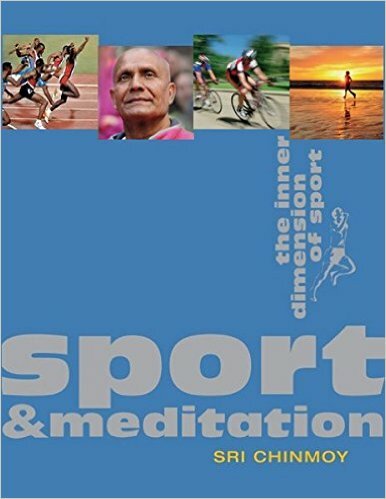 Sport and meditation is a book by Sri Chinmoy on how meditation, concentration and other techniques can be useful for sport. The book also examines aspects of the spiritual side of sport – for example, the quest for self-transcendence rather than competition. As well as writings by Sri Chinmoy, there are also perspectives from other top athletes, such as Carl Lewis, Tatyana Lebedeva, Tegla Loroupe, Bill Pearl and Paul Tergat. One aspect of this book is the spiritual approach to sport. For example, how to compete with full commitment, but detachment to the result. The other aspect of the book is some practical aspects of how an athlete can seek to get more out of himself. Not so much the well known nutrition or training techniques, but the inner dimension of going faster, such as: meditation to clear the mind, remove mental distraction and seeking to tap into that inner source of energy. Even practical tips, like smiling to yourself, trying to feel grateful – keeping in a better consciousness, where you can get the best from yourself. Does meditation make you go faster? I don’t know and it would be very hard to prove, but I think it can help you to enjoy sport more. If you feel 100% in the moment, which can come from meditation, it is easier to get into that sense of ‘flow’ and rhythm where everything goes well. There is also a brief overview of Sri Chinmoy’s own sporting endeavours which range from being a sprinter in India, to ultra running, 24 hour cycle races and then taking up weightlifting aged 54. A practical example of how meditation can help sporting endeavours later into life. 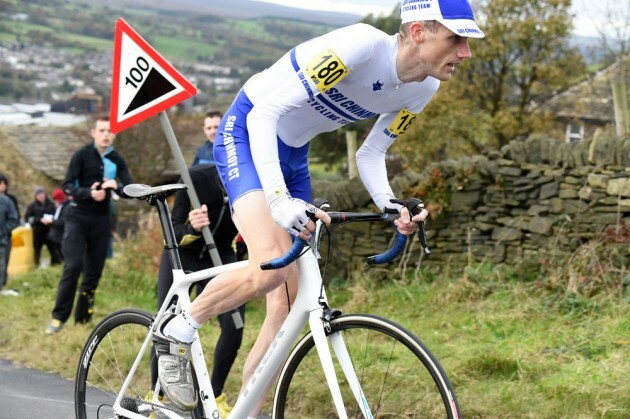 I have written before about the National hill climb championship. In particular eight attempts which led to just missing the podium. In these years, meditation and a detached mindset where helpful for shaking off the disappointment of missing off. It also made it easier to come back the next year and keep trying. If at first you don’t succeed… and all that. However, in 2013, I really wanted a different experience to just being detached at missing out. I felt somehow, I hadn’t realised the potential at hill climbing, so I approached that year a little different. There was certainly more training and taking every precaution with equipment, but also I wanted to be more careful about other aspects of preparation. In the middle of summer I read a talk Sri Chinmoy gave about swimming the English channel. He addressed it to members of the Sri Chinmoy Marathon Team who have successful swam or just missed out. For me the interesting thing is Sri Chinmoy was saying to those who missed out, you should have more faith in yourself, have a good preparation, concentrate more on speed, but in the event itself, feel a grace coming from within. It wasn’t what I expected – just detachment from failure, but really having faith and determination you can do it. In my case, it was not a motivation to swim the English channel (too cold!) but to aim for the top spot in national hill climb championship. This 100% focus was perhaps something which hadn’t always been there in the past, taking short cuts in preparation and things like trying something different in the race. Read ‘A Corinthian Endeavour’ if you want the more humorous explanation of failed attempts. Also, in the few weeks leading up to the big race, I read “Sport and Meditation” quite often. Certain sections seemed very pertinent and reading helped to qualm any nerves and anticipation of the big event. It also helped give a good focus to training and preparation. I made a single page of notes I took to the race, where I had about 10 bullet points from the book. The race went well, I’d like to be able to say I had some transcendental experience during race, but my main recollection was that it was just really hard, cold and wet, but I managed to keep it going all the way to the top. But, looking back I do feel the meditation, concentration and awareness of the inner dimension of sport was integral to the whole experience. The amateur ideal of sport – how a spiritual perspective can increase importance of sport. The book will give an insight into a spiritual perspective of sport. You don’t need any particular belief system to get some benefit from it. But, a broad sympathy to the inner aspect of life would be helpful. If nothing else, it will be quite thought provoking on a different way we can view sport and our approach to it. Sport and meditation at Amazon UK.